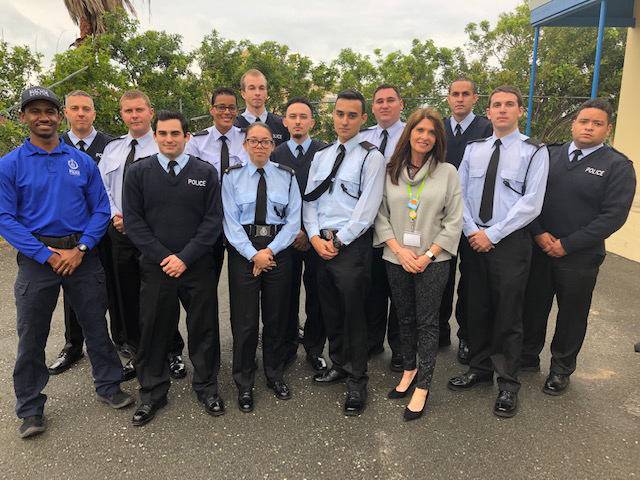 Twelve Bermuda Police Service [BPS] recruits will be entering their policing careers SCARS certified. A police spokesperson said, “The Bermuda Police Service [BPS] has traditionally supported SCARS Bermuda by conducting that specific training delivered as a supplement to our normal training regime. “Since 2015, the BPS has had approximately 400 members of staff SCARS certified. “Today [March 12th] for the first time, the BPS has delivered the training as a mandatory part of our initial Recruit Training Course. “As a result, twelve BPS recruits will be entering their policing careers SCARS certified. “This initiative will hopefully encourage our community partners in public service to adopt the same expectations of their new employees.